Biomass energy is as old as a caveman's fire, and it remains an important source of renewable energy worldwide. Despite its ancient use as a source of heat and energy, however, many people don't know what biomass energy really means, or where biofuels come from. Biomass energy is any kind of energy that uses a biological organism (plant or animal) as its source. Because the definition of biomass is so broad, fuels that can be considered "biomass" include a wide variety of items and researchers are discovering new biomass energy sources all the time. Animal manure, landfill waste, wood pellets, vegetable oil, algae, crops like corn, sugar, switchgrass, and other plant material—even paper and household garbage—can be used as a biomass fuel source. 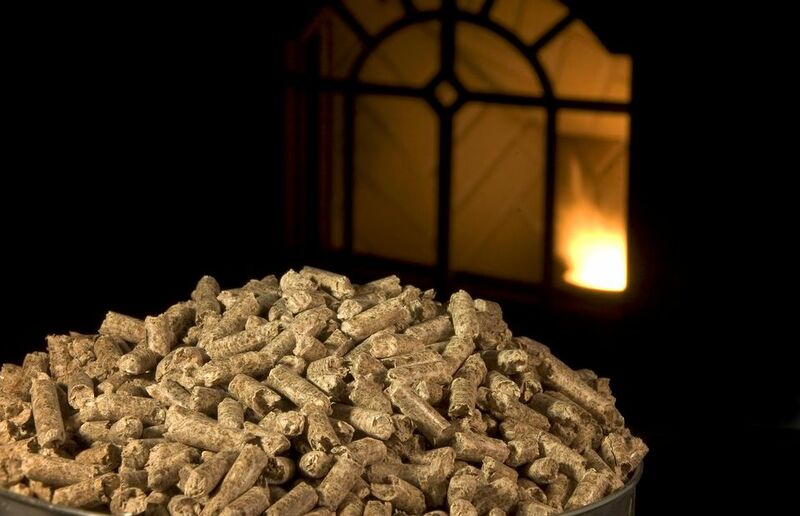 Biomass fuel can be converted directly into heat energy through combustion, like the burning of a log in a fireplace. In other cases, biomass is converted into another fuel source; examples include ethanol gasoline made from corn or methane gas derived from animal waste. How Practical Is Biomass Energy? Roughly three to four percent of America's energy comes from biomass, while 84 percent comes from fossil fuels like natural gas, coal, and petroleum. Clearly, biomass has a long way to go before it's widely accepted as a source of energy. Despite these challenges, there are many advantages to the growing use of biomass energy. One obvious advantage that biomass fuels have over other energy sources is that biomass is renewable: We can grow more plants, but nobody can make more oil. Another advantage is that some sources of biomass, like manure, sawdust, and landfill garbage, use a fuel source that would otherwise go to waste. These sources, therefore, reduce our dependence on fossil fuels and nuclear energy while also reducing the negative impacts—noise, smell, vermin, declines in property values—that are associated with landfills. Biomass is a source of renewable energy that can be replenished at each crop cycle, wood harvest, or manure pile—but it isn't perfect. Because it comes from a variety of sources, biomass fuel isn't always consistent in quality or energy efficiency, and there isn't yet a well-developed network of biomass refineries and distributors like there is for gasoline and natural gas. Additionally, the burning of biomass fuels, like the burning of fossil fuels, produces potentially dangerous pollutants like volatile organic compounds, particulate matter, carbon monoxide (CO) and carbon dioxide (CO2). CO2 is a greenhouse gas that is one of the leading causes of global warming and climate change. The renewable nature of biomass energy, however, can greatly reduce this environmental impact. While burning biomass releases carbon monoxide and CO2 into the atmosphere, trees, and plants that are grown as a biomass energy source also capture carbon from the atmosphere during photosynthesis. This process is often called "carbon sequestering" or "carbon banking." There's some controversy over the cost-benefit balance of biomass energy and carbon sequestering. Some analysts have found that the atmospheric carbon (CO and CO2) released when biomass fuels are burned is roughly equal to the carbon stored in trees and plants grown on biomass "plantations." This analysis makes biomass energy essentially carbon neutral and environmentally friendly. "Canada alone releases approximately 40 megatons of CO2 emissions annually from forest bioenergy production, an amount that exceeds the tailpipe emissions of all 2009 Canadian light-duty passenger vehicles. The CO2 emitted will harm the climate for decades before being captured by re-growing trees." Though it's an ancient source of energy, biomass energy still has a long way to go before it replaces other energy sources like fossil fuels and nuclear energy. "Studies suggest that the optimal [biomass] strategy will be different from place to place, determined by the quality of the land, its current uses, competing uses, and the demands for energy." Is Nuclear Power a Feasible Energy Source? Want To Go Green? Here's 8 Easy Ways to Do So.